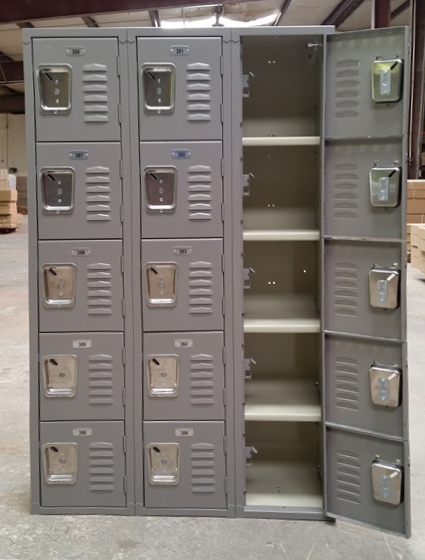 These 5-Tier Office Lockers are available on www.buyusedlockers.com where they have a huge selection to choose from if we need additional supplies. 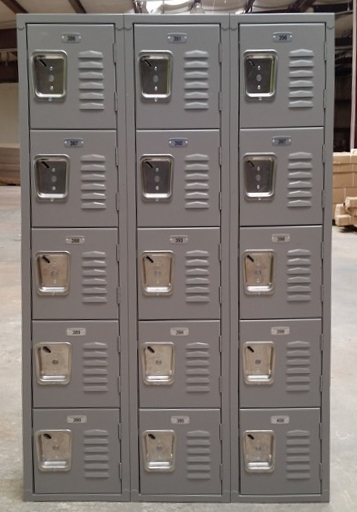 Box lockers are ideal to use as employee lockers in office and breakrooms. Each employee can use a padlock to safely store their personal items while at work. They ship fully assembled saving you time and money. Good, fully functioning office lockers are your storage solution.